Finding the perfect christening gift can be a bit of a challenge with the first decision being whether you’d like to go traditional or to offer a something a little more innovative, maybe even unique? There’s a lot of choice when it comes to christening gifts with more people than ever choosing to step away from tradition by offering eco-friendly gifts or items that will be treasured as family heirlooms. If you would like to stay traditional to celebrate the baptism or christening ceremony of a child, one of the nicest gifts to offer is a solid Sterling silver spoon which you can have personalized with an engraved message. 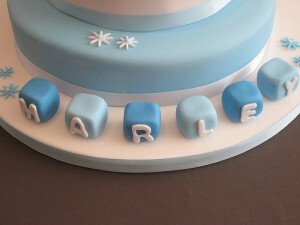 This is traditionally the infant’s name and the date of their christening. However, other silver options include offering an engraved silver cup or bowl and over the last few years, solid silver rattles have been a popular choice too. Another trend that’s appeared over the last few years is for people to offer saving bonds as a christening gift. In days of yore, christening gifts did represent a monetary value whether it was a coin or some other item of value, so this could be perceived as the “modern” take on a very traditional christening gift and one which would be very appreciated by the family and the child when they grow up. For babies born into a more religious family, offering a set of religious books is a lovely present to give an infant when they are baptized. Offering an illustrated bible is a charming idea or you could opt for a book of Bible stories that’s leather bound and which you can have the child’s initials of name embossed on the cover which makes it extra special. 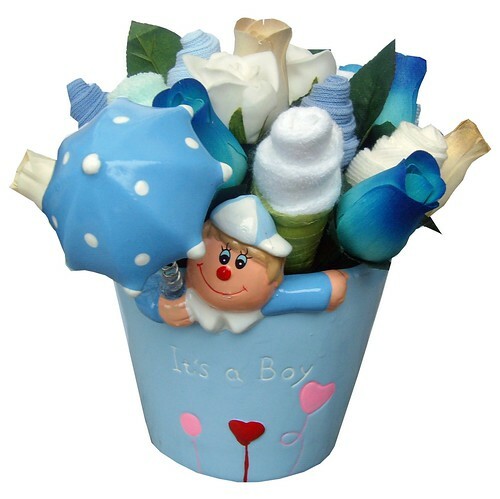 There are some charming decorative items that make wonderful christening gifts and which parents can place in their baby’s nursery. You could choose a religious themed item like a delightful guardian angel or a beautiful engraved cross that has the baby’s name and their date of birth on it. Another popular choice is to offer a decorative frame in which a photo of the baby can be placed. Some people like to offer samplers or an embroidered pillow whereas other people like to offer a decorative scrapbook which is a lovely way to record early events in an infant’s life. If there is one thing a baby can never have enough of, its lovely soft blankets and comforters. Either of these make lovely yet practical christening gifts which can become items that babies get very close to and which they keep throughout their lives and even pass them on to their own babies when they are born. Finding the perfect christening gift whether it’s for a little girl or boy, can sometimes prove to be a pretty hard task. You can get a lot of inspiration by browsing the Internet and visiting sites such as http://www.christeningideas.co.uk/shop/en/. The first decision you have to make is whether you would like to offer a more traditional christening gift or if you should offer an innovative and fun item that will bring a smile to both the parents and infant’s face. If you are looking for inspiration, then by browsing a few websites and online magazines, you’ll find some lovely traditional and innovative ideas with the added bonus of being able to personalize many of them.